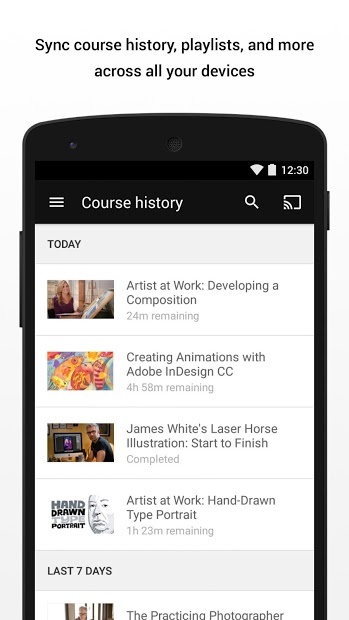 This is the official app of Lynda.com, a page where you can find a lot of courses to learn what you’re interested. The application itself is for those who are already registered in a course and want to take their lessons anywhere. If you’re not a member Lynda, let you know that you can find courses on photography, graphic design, professional training,web design, 3D animation or audio among many other topics. 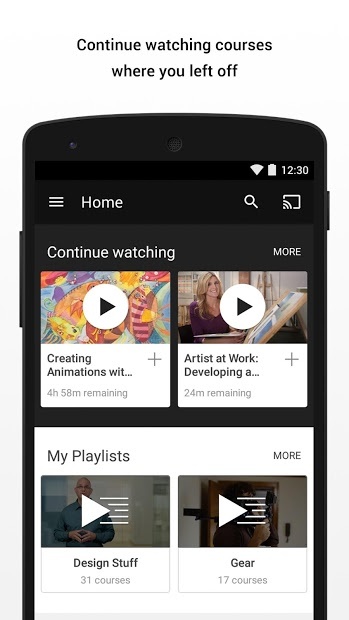 From the application you can perform any action you could do from the web, plus bring your courses anywhere, you can also have the convenience of sharing the videos with a Chromecast device.